There lots of information out there about social media tools. Lots of experts and lots of websites. So much in fact its almost enough to make you want to lie in a darkened room with a damp cool towel on your forehead. Of course some resources are more useful than others. And you have to think about what YOU are trying to achieve and what any social media tool will bring to YOUR business. Which is why I like this 1 page summary from CMO.com. It really helps you focus on whether you should be spending time tweeting, facebooking, flickr-ing, youtube-ing or lying in that darkened room. 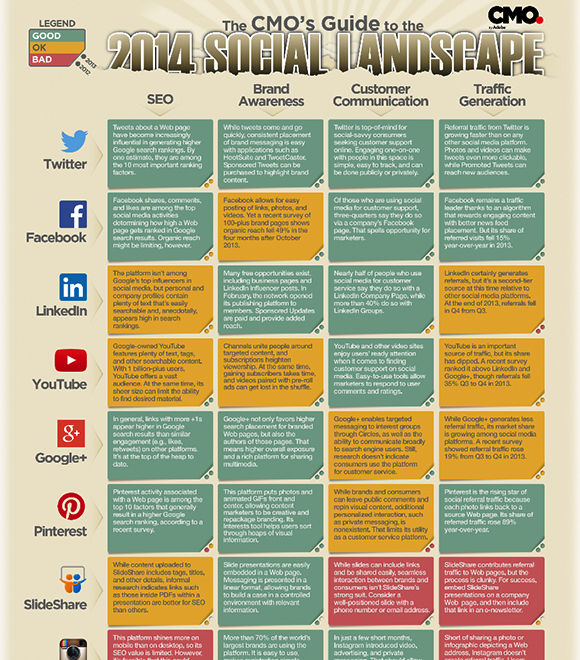 I first found it bak in 2011 and its updated each year, its my favourite snapshot on the why and what of social media. If you click here you can download a nice printable version. It really is useful stuff. Hurray, we’re back, sporting a new look! Great Taste Awards: how does the judging work? Ailbhe on Hurray, we’re back, sporting a new look!